Salomon Rondon's stoppage-time equaliser secured West Brom a 1-1 draw at Stoke to leave Mark Hughes’ side winless in the Premier League. Joe Allen had looked to have won it for the Potters when he bundled the ball home via a deflection off Claudio Yacob but Stoke's weakness from set-pieces cost them. Rondon's header from Darren Fletcher's left-wing corner was too hot for Lee Grant to handle and earned the Baggies a scarcely-deserved point on the occasion of Tony Pulis' 1000th game as a manager. It will be a bitter blow for Pulis' former club but the point does at least lift them off the bottom of the Premier League table following Sunderland's collapse at home to Crystal Palace. Post-match reaction from Mark Hughes after Stoke's 1-1 draw with West Brom. Stoke had been the better side for much of the game with Allen busy in midfield and Xherdan Shaqiri looking particularly bright on his first Premier League appearance since the opening weekend. The home side certainly had the better openings of an otherwise evenly-balanced first half in which both teams competed well without really exhibiting much in the way of quality. Erik Pieters wanted a penalty for a perceived foul in the box by Matt Phillips after Marko Arnautovic had slipped him into space down the left channel but referee Martin Atkinson waved the claims away. Shaqiri then almost putting Wilfried Bony through with a clever reverse pass, but the best chance before the break fell to Glen Johnson. The full-back found himself in space inside the penalty box after Bony's header deflected into his path and he managed to lift the ball over goalkeeper Ben Foster only to see Craig Dawson clear brilliantly from off the line. That was as close as Stoke came before the interval but they started the second half much the brighter side and Pieters had another shout for a penalty as he got in behind Phillips yet again. Peter Crouch replaced Bony midway through the half as the home side pushed for a breakthrough and it came from a predictable route soon after. Shaqiri, who'd troubled Allan Nyom all afternoon, cut inside and whipped in a cross that Jonny Evans could only head into the path of Allen who netted under pressure from Yacob. The relief around the stadium was palpable and with Albion creating so little, a long awaited three points appeared to be heading Stoke's way. Post-match reaction from Tony Pulis after West Brom's 1-1 draw with Stoke. But with both Allen and Shaqiri withdrawn there was still time for the visitors to get their goal as they capitalised on a needlessly conceded corner. Confusion between Grant, on his Premier League debut, and Bruno Martins-Indi resulted in the latter knocking the ball behind and Rondon headed home brilliantly to punish the Potters. Stoke had switched to a zonal defence following a series of errors defending set-pieces but this goal is a reminder that their problems at the back continue. The point lifts both teams one place up the Premier League table but that's the very least that Hughes needed. The pressure on the Stoke boss remains after this result. Alan McInally shares his thoughts on the match between Stoke City and West Bromwich Albion. 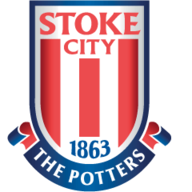 Stoke: Grant (7); Johnson (7), Shawcross (6), Martins Indi (6), Pieters (7); Cameron (6), Allen (8), Whelan (7); Arnautovic (7), Bony (6), Shaqiri (8). Subs: Adam (6), Diouf (6), Crouch (6). 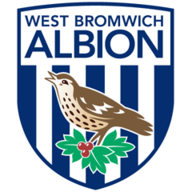 West Brom: Foster (7); Dawson (8), McAuley (6), Evans (7), Nyom (6); Phillips (7), Fletcher (6), Yacob (6), McClean (6); Chadli (7); Rondon (7). Subs: Morrison (6), Robson-Kanu (6), Leko (6).